Hudson Baby muslin swaddle blankets 3 pack is made of super soft cotton for the softest touch on baby's gentle skin for more peaceful sleeping. 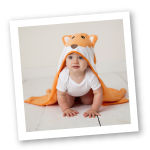 These blankets are generously sized at 46 x 46" for easier swaddling but can also be used as a nursing cover, tummy time, or stroller cover. 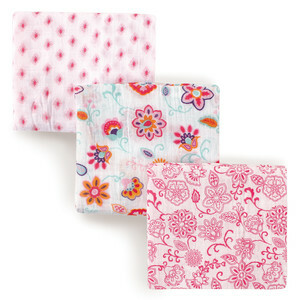 Available in blue and pink, all blankets come in a cute box to make the perfect gift.